Here I am! Back with another birthday post! Birthdays are a big deal at our house so I have a few more of these posts before I’ll be satisfied! 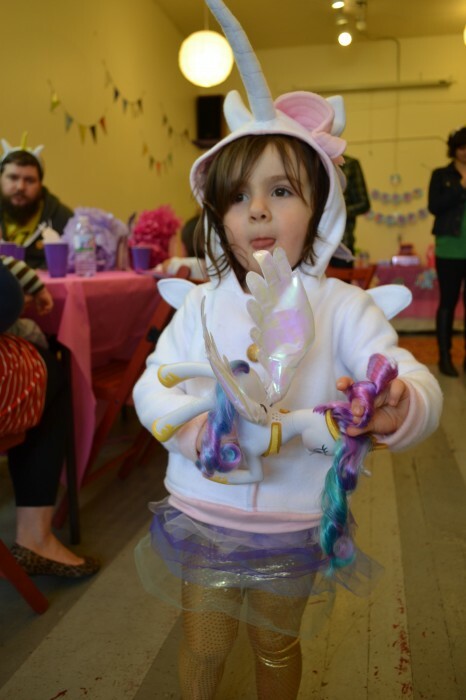 ;) As you may have seen before, Penelope turned three last weekend and had a My Little Pony party. I wanted to touch on some of the details of her party for those interested. 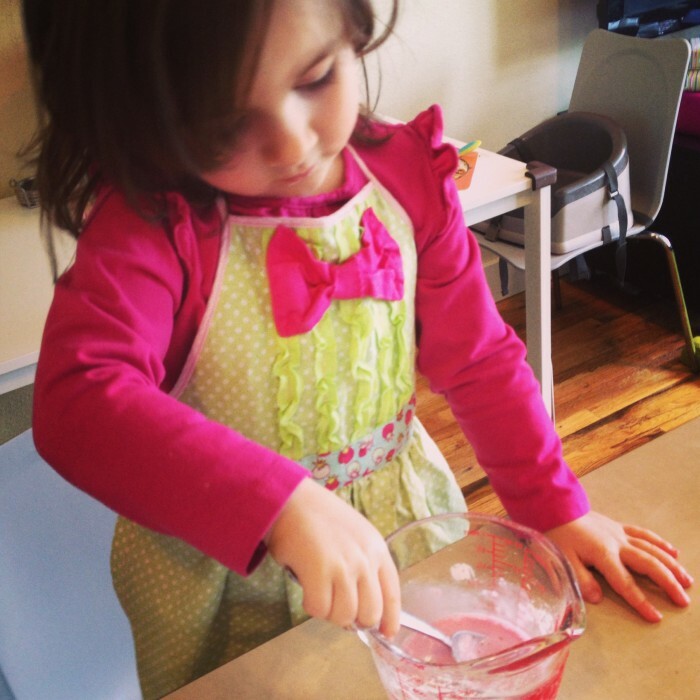 Today’s post is, obviously, about her cake! The last two years I have made cupcakes for her birthday so this year I wanted to do something different. 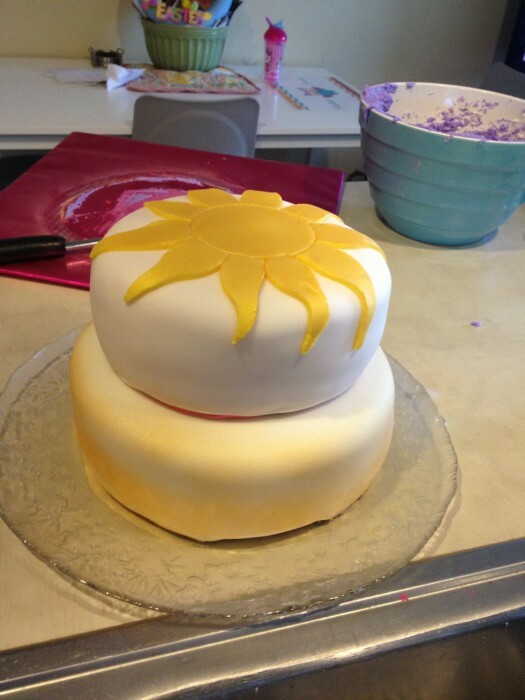 I have always loved the look of fondant but have never played around with it before. I decided to take the plunge. I bought some boxed Wilton fondant from Joann’s using coupons so it was a fair price, and I borrowed the tools from a neighbor. I have to say that it was actually quite easy! 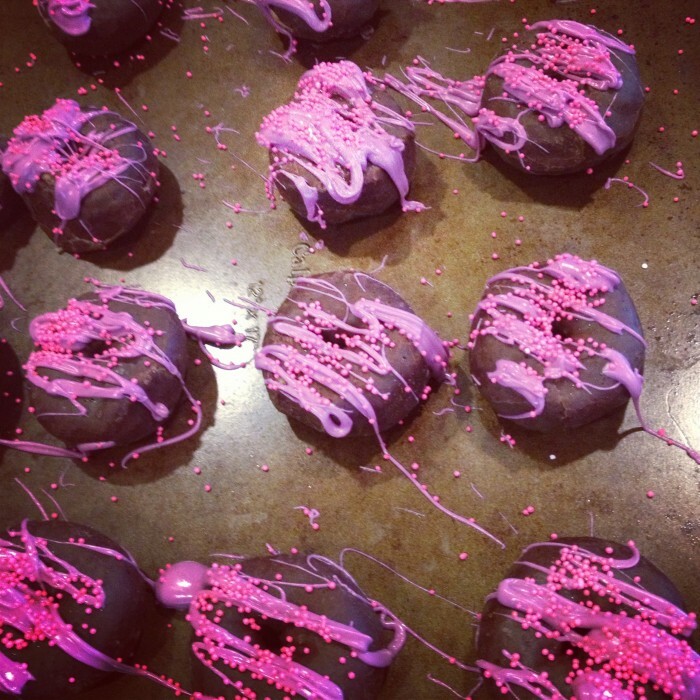 I love sculpting with clay and fondant is pretty much a sugar form of that! Sadly, the Wilton fondant was pretty foul tasting. 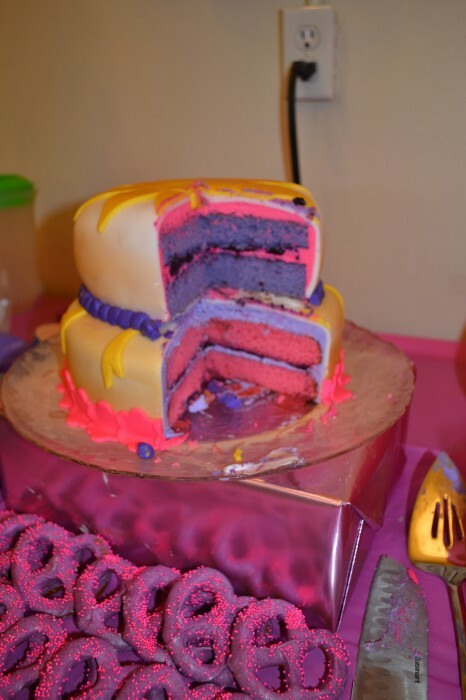 I peeled it off and just ate the yummy cake….but it did look cool! 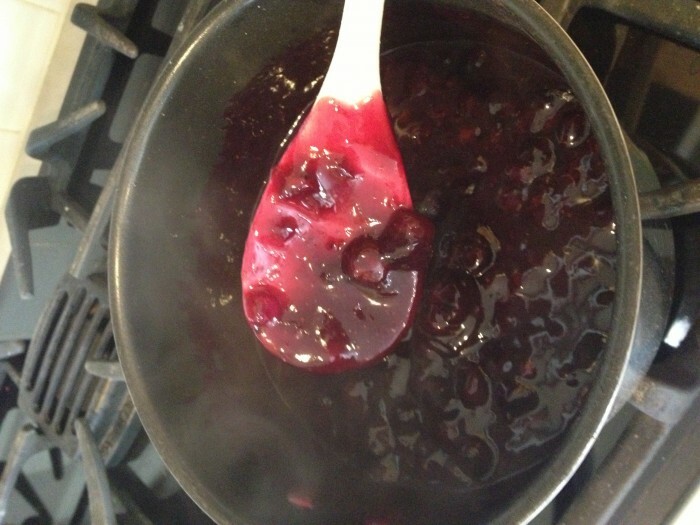 Next time I’ll be making my own from scratch for sure! 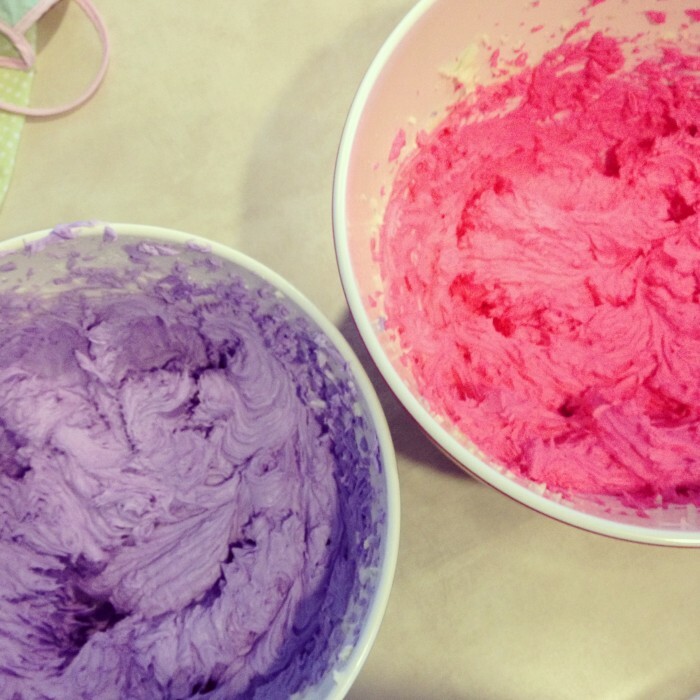 Lastly I made a simple white buttercream (double batch) and colored half of it purple and the other half pink. Once all the pieces were made, it was time to assemble the cake. 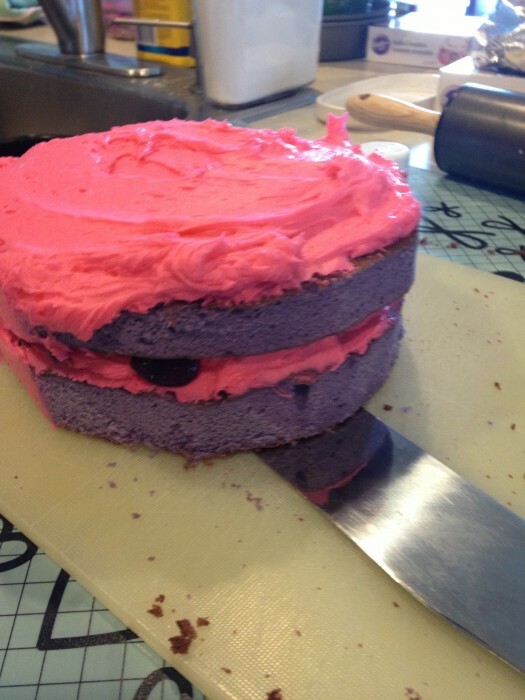 After spreading the frosting and filling between the layers, I generously slathered each two layer cake with the opposite colored frosting form the cakes color. Then it was time for fondant! I carefully rolled out the white fondant and snuggly fit it atop each cake. 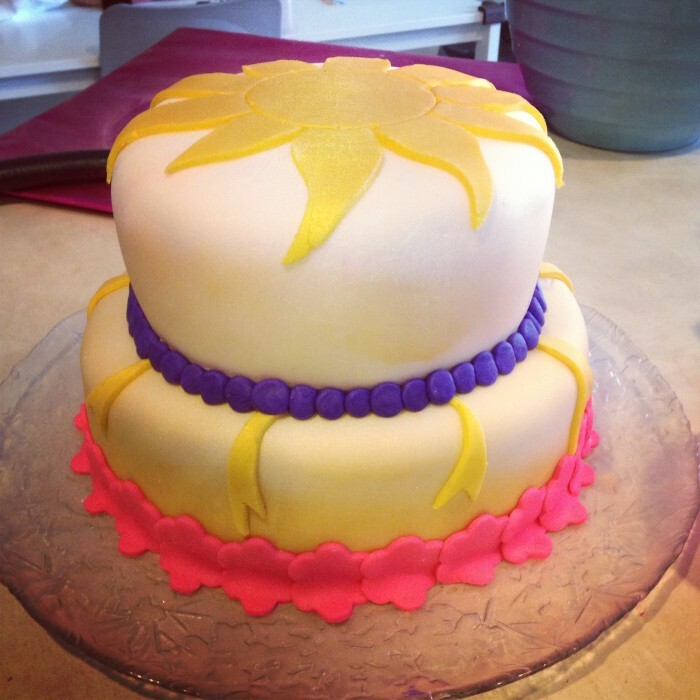 I then rolled out the colored fondant I had purchased and used it, along with an edible gold spray, to decorate the cakes. 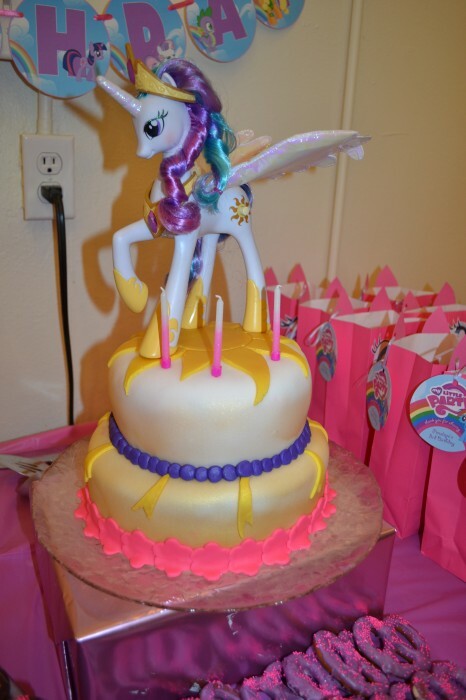 I wanted the cake to have a My Little Pony feel to it without it being too cheesy. 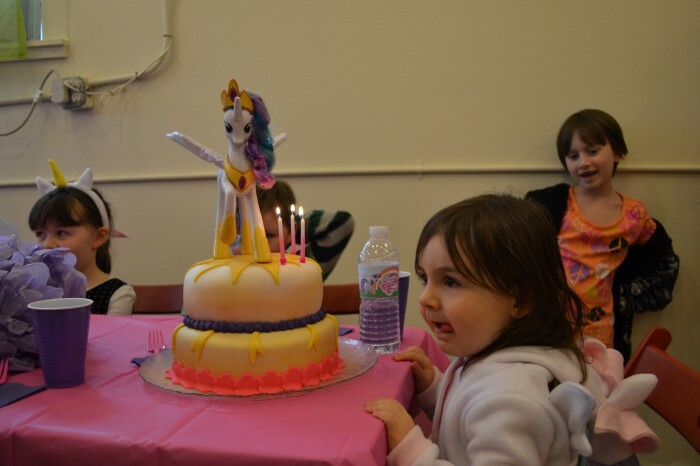 I topped off the cake with a fancy new Princess Celestia toy that lit up and talked. Penelope was super excited that she got cake and a toy all in one! The party was in the late afternoon so I didn’t serve any food, however I wanted to fill the table with a couple other treats besides the cake and strawberry (pink!) ice cream. 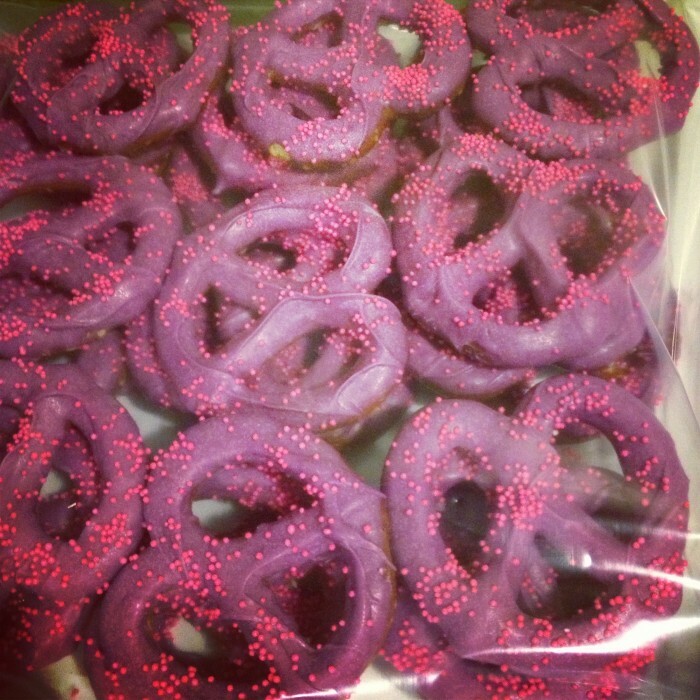 I went ahead and made some purple chocolate and pink sprinkle covered donuts and pretzels. mmmmm sweets! It all turned out lovely! I’m so happy i decided to go outside my comfort zone this party and try out the fondant! Stay tuned for tomorrow’s post on the My Little Pony party treat bags!